When I got home that evening, I found a surprise in my mailbox. My alma mater, SUNY New Paltz, sent me six print copies of the Fall 2010 issue of the Observer, their semiannual alumni magazine. When I had submitted the article about my novel a few months earlier, I was told that I had missed the deadline for the Fall issue, but my article would appear in the Spring 2011 issue. No problem, I thought, and was just excited to make it into the magazine at all. When I opened the big white envelope to find the six copies along with a cover letter that read, “We thank you for your contribution to this issue and hope you enjoy it,” I wondered if they had made a mistake. I scoured the issue and found my article, along with a color photo of my book cover. What a thrill, coming six months before I expected it and on the same day that I had received my author copies in the mail! 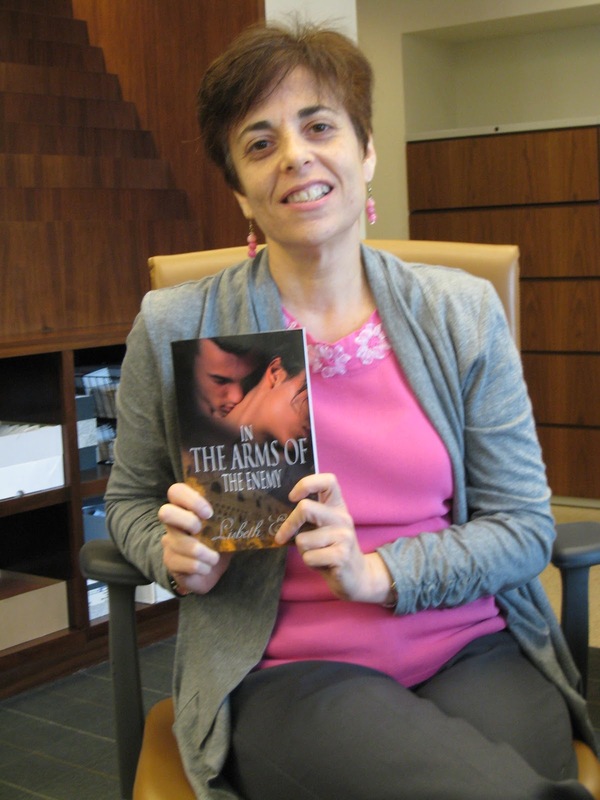 If you don’t happen to be a New Paltz alumnus, you can read the gist of the article, “Debut Novel with a New Paltz Connection” on my Yahoo Newsletter group (6/5/10 post) by signing up via my website. The enjoyable aspects of book promotion include being invited to guest blog and being interviewed by other authors on their websites, as well as personal appearances in the form of readings and author luncheons. My niece Jeanette recently remarked that, having always considered me an introvert (which I generally am), my enthusiasm at promoting my book was rather out of character, but refreshing, nonetheless. So what’s the “Hate” part? I work a more-than-full-time job as a financial services representative (that’s what pays the rent) and after having spent years of time, sweat and tears writing, rewriting, revising and editing my book, I’d like to have some “down time” to socialize, relax and perhaps even read someone else’s book during the few waking hours I have to spare! 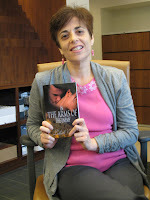 There is also the issue of my innate shyness, which must be conquered in order to promote my book and myself. When I win the lottery (and no longer have to work for a living), I will have the time to sit back and bask in the pleasure of being a published author and do lots of promo work at my leisure (or better yet, hire someone else to do it). 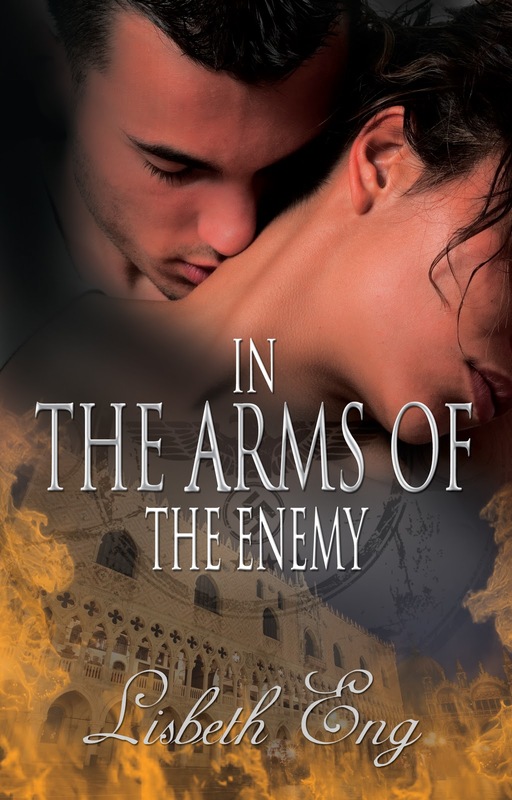 Either then, or when I sell the movie rights for In the Arms of the Enemy. Know any Hollywood producers? Hey, I’ll even take a "made for TV" movie deal! 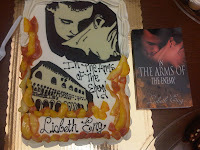 Below are some pictures from Lisbeth's Book Launch Party on Wednesday, Nov 3. It was well attended by family, friends and Chapter members, of course. 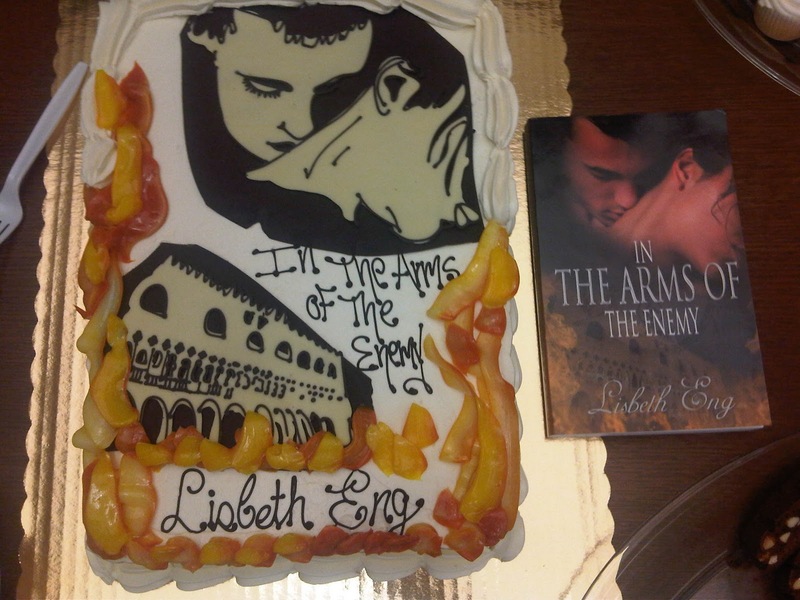 The cake looked just like the book! RWANYC members went to show their support. 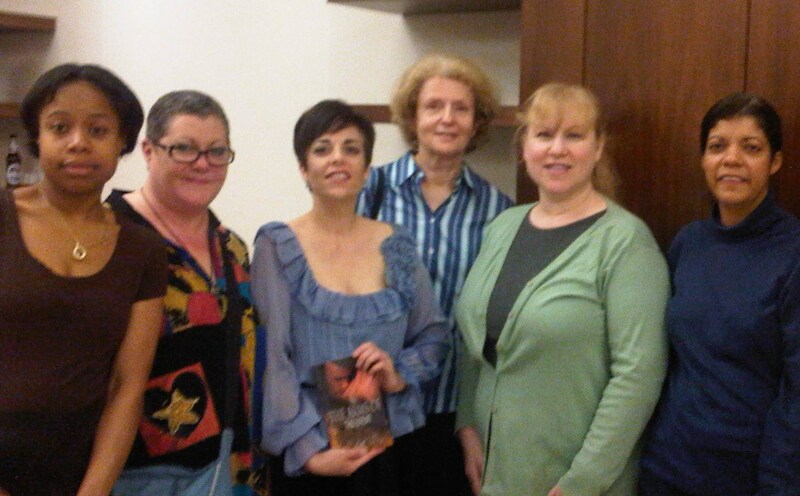 Fidencia, Lise, Lis, Jenna, Shirley, Carolyn. Love the cake. Wish I could have been at the party! Enjoy your success. Congratulations on your book launch party. So Sorry I could not be there, but I will make it up to you. I am so proud of you because you have worked HARD and LONG on this and you deserve every bit of praise and basking in the glow of your success. Please don't stop, you are NOT A one book wonder, you have other stories inside you and we need to hear the,.. get on to the next story..
Holding a new release is a great feeling, isn't it? I don't think that pleasure ever goes away. I'll bet Nora Roberts still gets a little thrill. 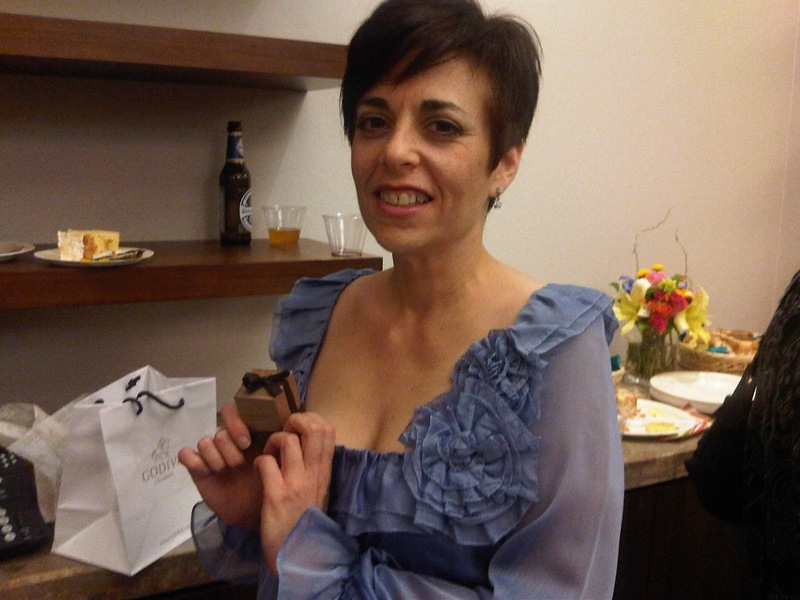 Lis, Loved your blog about promo! I wish I could have made the party. Alas, work, that naughty thing that gets in the way of one's social life, interfered once again. I hope we all win the lottery and hit the bestseller lists so we can spend more time on writing/promo. 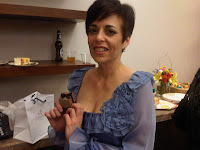 Karen K.
Wow, Lisabeth, your cake was spectacular! And I love the quote from your brother. I hope the promotion path, even though it's a difficult one, proves exciting for you!